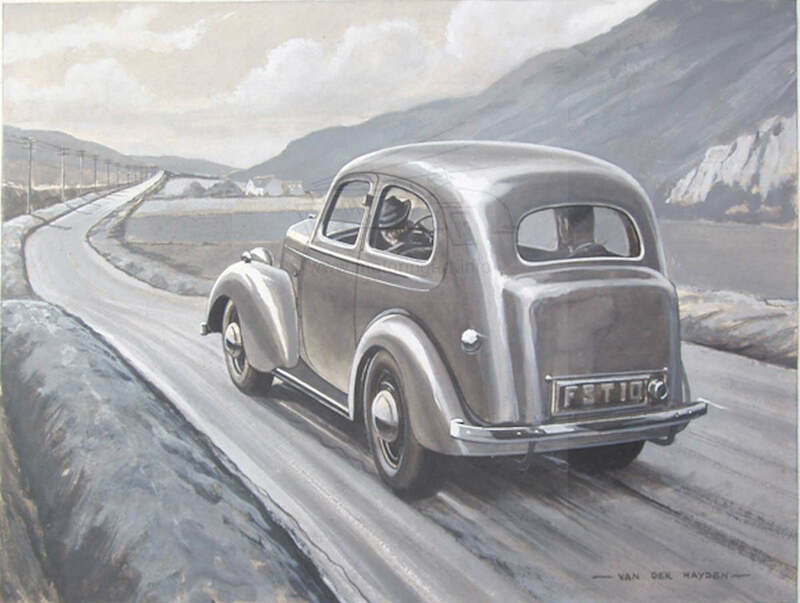 In the sale of Roy Nockold’s studio was this monotone gouache painting of a Standard Flying Ten saloon (Reg no. FST 10). On checking it was found than Van Der Heyden is an old Nockold’s family name. Hence for some reason he was doing this painting under a pseudonym. Shame he left off the door and boot handles!